This week, we celebrate the successful Weightloss of ‎Chantel Malthouse. At my heaviest, I weighed in at 150kgs. I got this way from emotional eating and felt if I ate to make myself feel better then I would be a better person. How wrong was I?! After years of actively going to the gym, trying many different meal plans and fad diets I just couldn’t move the weight. 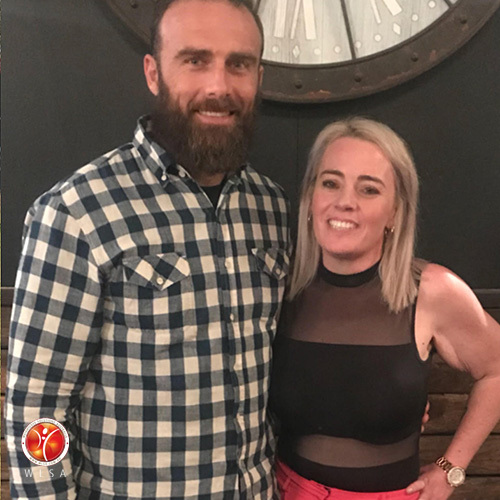 I was diagnosed with a heart condition, high blood pressure, PCOS, anxiety, and after tearing my ACL ligament in my knee twice in my younger years playing the sport I was told I needed a knee replacement at the age of 30. But then was hit with the news I was too heavy to have it done. I’d thought about weight loss surgery many times, but seen it as the easy way out. I took the plunge, at my day of surgery in January 2017 I weighed in at 130.7kgs. I was disgusted in myself and hated myself for what I had done over the years. 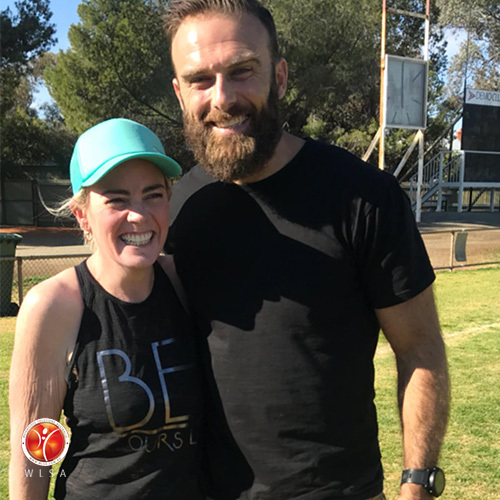 Commando Steve from the biggest loser was always a favourite of mine, and an inspiration to me, a few years back he came to my hometown in Broken Hill and done a boot camp. Weighing well over 100kgs I attempted this, I finished it but felt near death. I recently had the opportunity to come up against him again only this time I weighed 65.5kgs. He still smashed me just the same as before only this time it was much easier. He remembered me and spoke very highly of how well I’d transformed myself. Along the journey, I’ve made friends, lost friends, but found a new love for myself and have even inspired a few people along the way to jump on the bandwagon to transforming their life. Nearly two years post op I’m still sitting in the mid 60kg range, nothing was easy of this journey. Learning to eat again, looking for the ‘I’m full’ signals, crossing the boundary certainly does not make for a happy tummy. I’ve still given up a soft drink, barely drink alcohol but certainly don’t allow myself to go without anything. If I want some chocolate I’ll eat it, everything in moderation, right? I still look at myself in the mirror somedays and see myself as the overweight person I was, but when I buy size 8 clothes compared to size 24 it puts it into perspective. I have flab and excess skin, but I embrace it and allow it to remind me of the person I never want to be again. I’ve had the confidence to completely turn my life around and this would not have been possible with the help of WLSA and the huge support networks I’ve found online. Congratulations on your incredible transformation Chantel. You have improved your health and fitness dramatically and have been an inspiration to so many over the past two years. We are all so proud of you for not only losing the weight but also maintaining your weight loss and your new active lifestyle. Keep kicking goals, we are all cheering you on! At my heaviest, I was tired, lonely, depressed, felt ugly and morbidly obese. I suffered from high blood pressure, PCOS, anxiety, and depression and a heart condition. Over the years I tried many different diet fads, meal plans, had a personal trainer and stuck to a regular exercise regime of going to the gym at least 5 days a week. 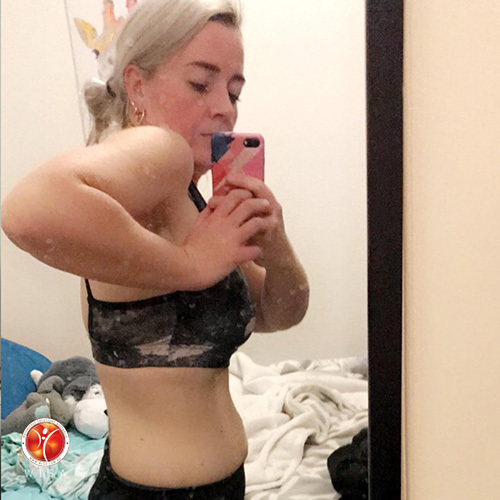 My weight just wouldn’t budge, and it was very nerve-wracking stepping on the scales every week in front of my personal trainer to find I had put on weight or lost next to nothing. It took a toll on my mental health and food was always my comfort option. I looked into weight loss surgery and in the end, decided I would transform my life in 2017. 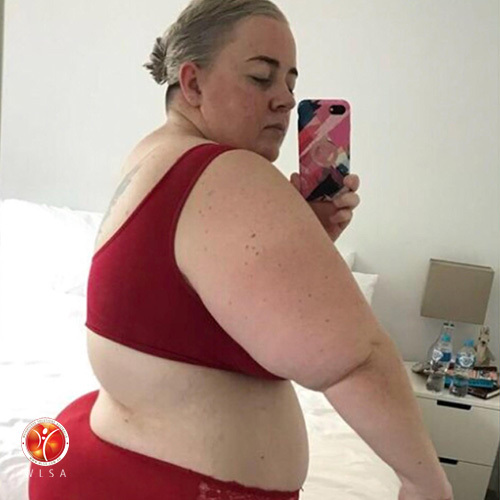 I underwent the gastric sleeve on the 23rd January 2017, and have been absolutely blown away by the changes in my body image, my mental health and my health conditions. After 12yrs I was finally taken off my blood pressure medication as it stabilized in a normal range, I am free of medication to treat my almost non-existent PCOS now and no longer take any medication for my anxiety and depression. Mentally somedays are still struggle, when you see yourself as morbidly obese for all those years it’s hard not to still feel that way. But then I go clothes shopping and now can buy size 12 clothes, a big change from the plus size 24 clothes I used to shop for. I have lost 54kgs this year and still have a little bit more to go. Nothing can take the smile off my face and I have never felt happier. My only regret is I didn’t have the surgery sooner. I travelled nearly 2000kms to Brisbane to have my surgery and recently have inspired another friend to travel the same km for the same surgery. It really has been a life-changing decision for me, and I cannot thank WLSA more for everything they have done!